More than 20 miles of paved and dirt walking, hiking, biking and horseback riding trails snake through Aspen and the Roaring Fork Valley, making for one of Colorado's largest trail systems. Singletrack mountain biking on Government Trail along slopes of Snowmass and Buttermilk ski areas. Walking, running and biking on flat, paved Rio Grande Trail 19 miles from Aspen to Emma. Steep singletrack hiking on Ute Trail to overlook 700 vertical feet and Aspen Mountain summit, another 2,300 vertical feet. Managed by the Parks Department, most Aspen trails are multi-use in the dry months, and many are groomed for Nordic skiing in the winter. They range from relatively flat, paved pathways good for a morning walk to long, technical mountain biking trails. 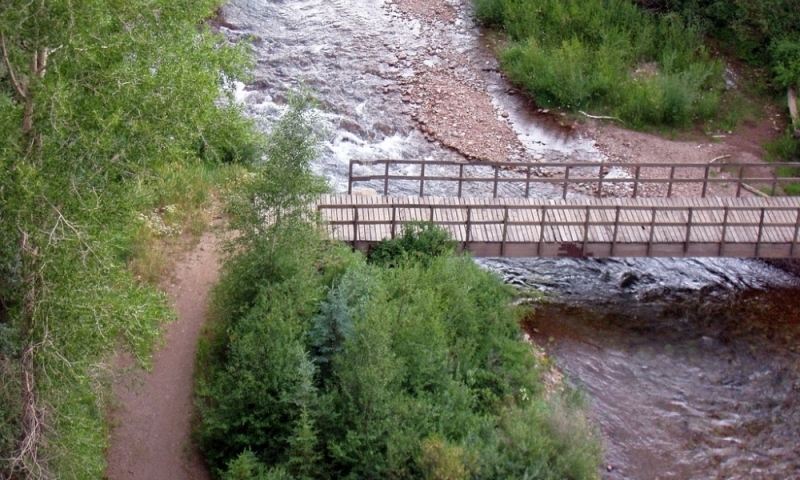 The Aspen Trail System provides an almost seamless web connecting Aspen/Snowmass and down valley to Woody Creek and Basalt. Though the trails are free to use and open to anyone, there are a few simple rules. Dogs are welcome but must be leashed at all times. And users should respect private property along many of the trails, which exist because of public easements. No motor vehicles are allowed on the trails. In the winter, the Aspen/Snowmass Nordic Trail System offers grooming for both classic and skate skiing, although there are some trails that are classic-only. Bike, hike or inline skate on this paved trail from Aspen to the Aspen Business Center. Link to the Rio Grande and other trails. Bike, hike or inline skate through forests and meadows on a paved trail from Aspen to Snowmass Village. One of the most popular trails in the area. Bike, hike or inline skate on this flat trail with paved and unpaved sections from Aspen to Emma. Popular with both mountain bikers and hikers, the unpaved road winds its way up Smuggler Mountain, providing views of the Roaring Fork Valley and access to singletrack trails. Singletrack mountain bike or hike on the southern slopes of Red Mountain through aspen groves and wildflowers. Trailhead: Typically a loop starting with the Hunter Creek trail system and ending near Henry Stein Park off Cemetery Lane. Hike up singletrack switchbacks to an overlook 700 vertical feet up Aspen Mountain with option to continue to the summit, another 2,300 vertical feet.